After thousends of years of ruling over their universe, for the first time, the Universal Republic was challenged. The honorless Coalition of United Galaxies invaded, starting the largest war ever since the Millenial War. Deciding to fight till the bitter end, the warriors marched their armada to clash with the Coalition, but as they did so, the monstrous space cult, the Infinite Blood Cult, made their move, revealing themselves and stating a coward attack on the ancient homeworld of the Zankaran, the war quickly devolved into chaos as the 3 parts fought for dominance, the battles lasting for months in space and years on the ground, ship counting reaching the millions even in small attacks, the Council saw its glorious empire vanish before their very eyes. Deciding to fight till the bitter end, the ex-Emperor died alongside his soldiers in the battlefield, to forever be remembered as Hyperion, Knight of the stars. Nova Republic: Trusted to the end. 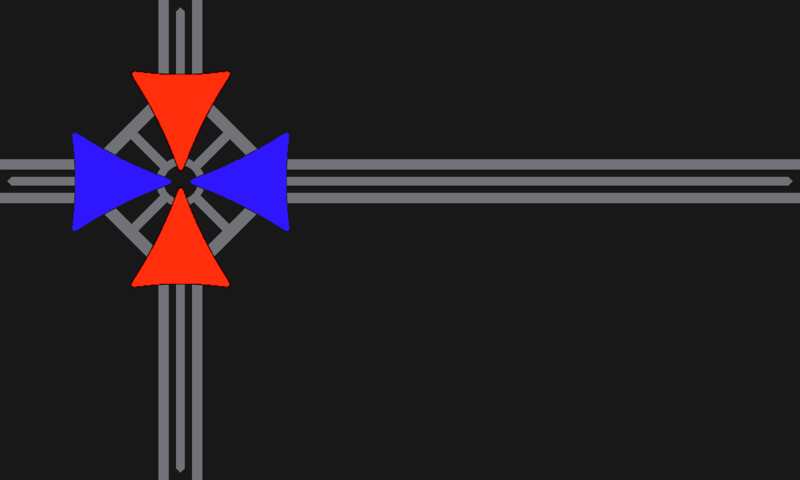 The ZIE standart FTL, it generates a Transwarp conduit inside a Hyperspace route, sliptreaming them, allowing for imense speed, crossing intergalactic void in mere hours. A powerful device, capable of hiding the ships from most factions sensors, while not allowing them to fire weapons, while allowing the ship to pass through solid matter. This form of FTL is highly rare, it allows Universe-Universe travel, it also has a faster speed, taking seconds to traverse intergalactic void. Extremely powerful weapons, capable of using energy from upper dimensions to create entropy around its targets, ripping through shields and hull alike, these weapons can even do massive damage to planets. Inspired by the Rakata Star Forge, Stellar Forges uses stellar matter and dark matter to "forge" ships, taking only a matter of days to produce even the largest battlecruiser of the Empire, they work as the Zankaran version of shipyards, with more efficient building processes. They are limited however by their size, 8 km, not allowing them to produce Leviathan class ships. Leviathan class have their Galactic armor and Entropy Disruptors assembled and sended to Guardian Alpha, were the ship will be assembled manually. • Stellar Forges are completly automated, with automated defense systems, internal and external. ▪ Due to the installation of powerful Interphasic cloaks, Stellar Forges can remain inside stars, capting more energy while being more defended. 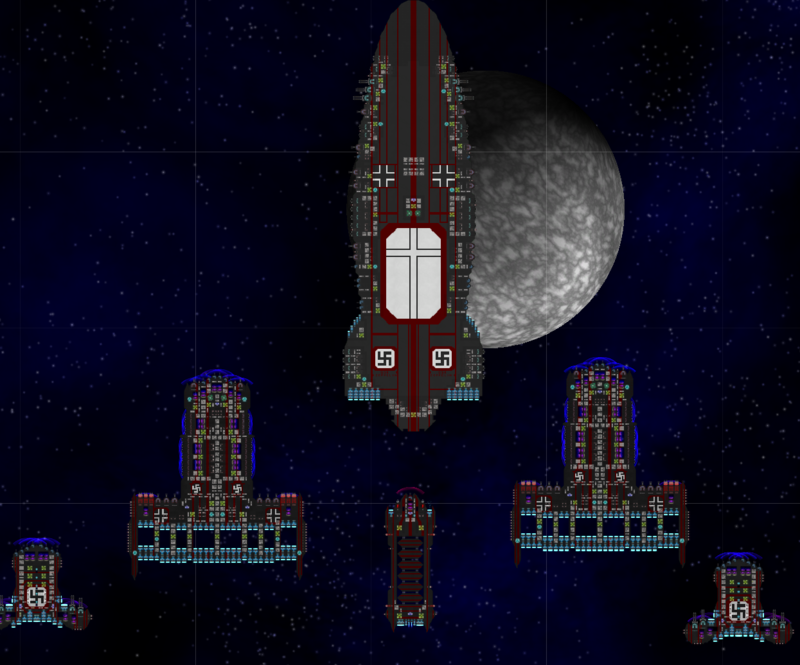 • Though the ship building is automated, the Forge requires maintence and a operational crew of 4000 engineers. • The size limitations affect its building capabities, and the production of the parts required for Leviathans can take up to several months. Despite tolerating religion within it, the Empire's unifying force and drive is the belief in the great Ancient godess, Grand Zafiira, whose objective to the Zankaran was to rule the galaxy, and meet her through the exploration, or conquest, of the multiverse. Zafiira had ruled the Empire for 2 Millenia before leaving to set up the next universe, only to be met by the Ancient War of that universe raging on. Aligning herself with the powerful Ancient Army, her destiny before the arrival of the empire, was uncertain. Zafiism deems betrayal and treason as the highest sins, and anyone betrayed can use the Right of Revenge, and decide the destiny of the betrayer. Zafiism kept the Empire united even as its expansion was halted by the universe's own border, and the stagnation of their society. DarkPearl ...the CUG almost defeated them, destroying Kion Prime and the ZUR flagship, the Esperanza. A medium sized ship appears within your region, from a purple portal. It appears to have little to no weapons, but quite some defence, and fast engines. The ship are mostly black with dark brown, and Voghus written on the ship, you receive a transmission. A big guy with a giant axe stands in a big control center, missing an eye, he speaks with a deep but humble voice. “Greetings, Zankaran Empire... I have come here to discuss a matter, about uniting the Galaxy, and be more prepared for perhaps future dangers, and have less wars between ourselves. We have contacted your ally as well, wich we are meeting with as we speak, The German Space Regime I think? DarkPearl Nova Republic: Trusted to the end.